In the visual arts, we offer a diverse range of possibilities that enable both the beginner and the more experienced student to find a suitable course. 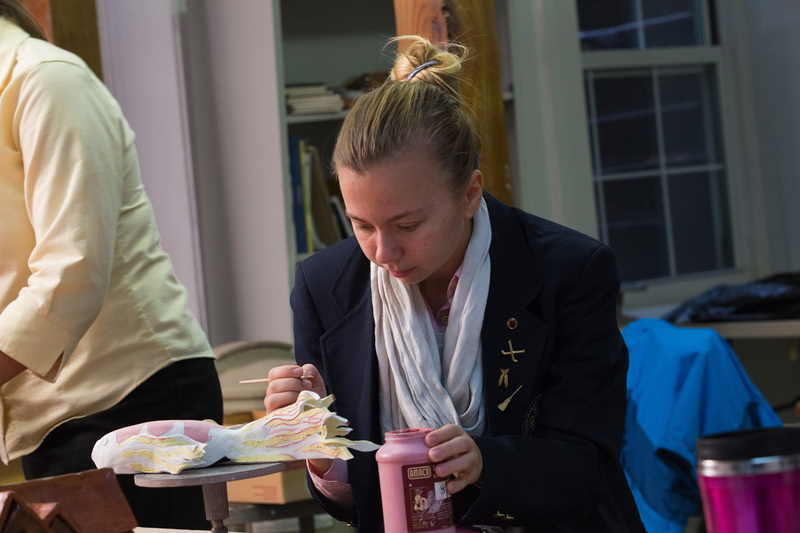 Our ten-week courses may serve as an introduction to various media, such as ceramics, photography, drawing, and painting, or they may allow advanced students to enter yearlong visual arts programs, including the Advanced Placement Studio Art course, that prepare them for entry into art schools. By making connections to history and cultures through the visual arts, we enable our students to gain a deeper understanding of our contemporary world. The Dance program at WMA is available to students each trimester as an afternoon activity, which satisfies the athletic requirement. The dance studio, located in the Athletic Center, has a sprung floor and its own sound system. The type of dance form presented at the dance concert at the end of the trimester is dependent upon the interests of the dancers who sign up for the activity. The dance instructor does much of the choreography, but students are encouraged to try their hand at choreographing numbers as well. The theater program addresses the creative impulses of the whole artist by breaking down traditional barriers. Live theater, film and video, theory and criticism, performance, and technical production all become part of the daily lives of the students, thus encouraging a wholistic approach to both artistic and academic education. Academy Players is a trimester long after-school activity comprised of students who wish to learn more about theater. 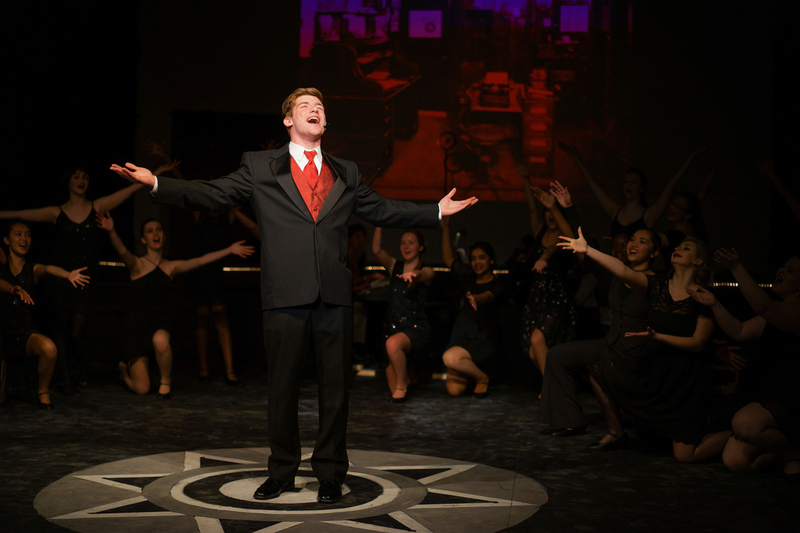 Academy Players mount three productions a year, including a major musical during the winter trimester. Academy Repertory Company (ARC) offers conservatory training in the art of acting and all facets of the production of live theatre. This course offers an intense investigation of theatre history, production, style, techniques and methods of acting and design, which include global perspectives. The goal is to enable students to become more adept in all areas of theatrical production through a process of collaboration and individual creative input. Assessments will include independent script reading and analysis essays, ancillary readings and independent projects, and at least one public performance per trimester. Students are allowed to repeat this course. Students in Tech Theater perform a variety of tasks to ensure successful productions. They help design and build sets, learn sound and lighting technology, and serve as stage and prop managers. Academy Singers is a yearlong course for all students who wish to share their passion for music in a community setting with music selected from various pop music sources, including rock, jazz, musical theater, television and movies. The goals of this course are to develop the ability to be part of an ensemble setting; to learn about vocal skills and harmonization; and to gain confidence in performing in front of others. The course meets once per week for the full academic year. Mosaic Harmony is a yearlong advanced course that features rehearsal-based class style with periodic discussion and viewing of relevant documentaries. Students will strengthen vocal and ensemble abilities; increase understanding of the challenges of performing music from different traditions; acquire greater understanding of similarities and differences between traditions; and consider how the performance of global music has the ability to foster greater communication within the worldwide community. This is a yearlong course with repertoire pulled from three distinct global music traditions, regions to be selected at the start of each school year. Instrumental Ensemble is comprised of talented student musicians on campus. Any student who plays an instrument can audition for the course. 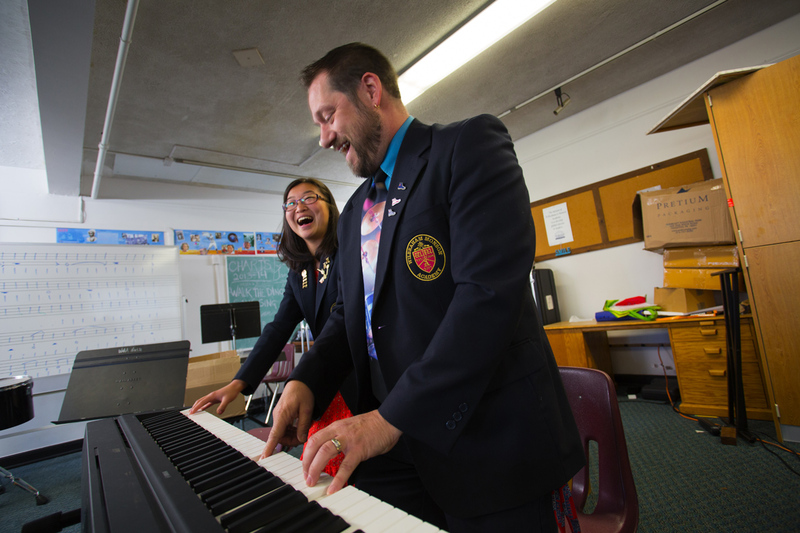 Musicians in the Ensemble often collaborate with the choirs on campus as well as performing as soloists. Titan Jazz Ensemble members learn to play and perform, as a band, some of the best jazz swing, Latin, and jazz rock/funk tunes from the 1950s to today. "How do we engage our students and faculty in creative persists while making global connections?" The Rubicon, a student-created book, is a compilation of student artwork and literature.